You’re excited about your new website and you’ve been working so hard on amazing content you know will help so many people. But you just keep waiting for your site visitors to increase, yet it’s just growing as quickly as you’d hoped. You keep hearing about so many other websites, online businesses and bloggers getting massive amounts of instant website traffic and you don’t know what you’re missing. I’ll be honest, getting traffic can be one of the hardest parts of getting a blog off the ground and turning a profit. With hard work, persistence, consistent daily progress, making connections with others, and learning a few traffic tips and tricks, you WILL start getting lots website traffic to your amazing website. 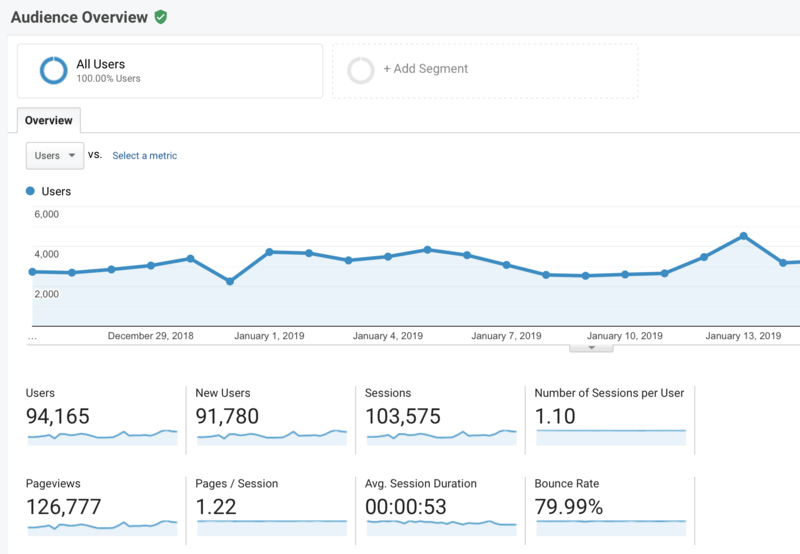 We compiled our FAVORITE ways to get tons of blog traffic quickly, which also also the same strategies that helped us rapidly grow two successful blogs very rapidly. 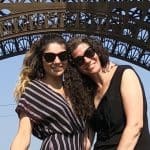 Our first website (this one), is a lifestyle blog that started getting over 46K blog pageviews/month within 3 months of launching and received over 120K blog pageviews/month in a little over a year. Our 2nd website only took 6 months to get over 100K+ website pageviews/month! How did we do it? We’re sharing our best instant website traffic tips to help you get a quick traffic boost too! Figuring out what type of posts you need to write to get visitors to your site is critical. This is honestly the #1 reason why so many blogs don’t get much traffic and many bloggers ultimately end up throwing in the towel. Bloggers are putting too much time into what THEY feel like writing about instead of what their target reader is actually looking for. Trust me, I’ve been there and done that! More than 50% of our posts don’t bring us traffic and we actually stopped promoting them. We wasted so much time writing posts no one was even searching for and were written simply because we FELT LIKE writing about a certain topic. Not every post you write is meant to bring in tons of traffic, especially since you need to be getting traffic for a PURPOSE and not JUST to get random website visitors. This means some posts are meant to fill in gaps and connect the dots for your readers, some are meant to get readers on your email list and others might be to get readers to purchase a product. The purpose of this post, however, is getting blog traffic, so while traffic isn’t the end all be all, it’s still critical or it’s much harder to earn ad revenue, make affiliate sales, get readers on your email list, work with brands, or sell any products if you don’t have it. Many bloggers making a full-time income will even tell you that most of their traffic comes from just 5 or 7 posts! True story! I was surprised when I kept hearing this and it ended up being the case for our site as well. One of the ways to find out the top posts for a website in your niche is through Buzz Sumo. It isn’t always 100% accurate about someone’s top posts, but it at least will give you insight to some of the posts doing well on that person’s site. When doing research to figure out what types of posts do well in your niche (meaning hint hint “what readers in your niche are searching for,” it is SUPER important that work is never copied and you ALWAYS write your own unique version of a post topic. While we all want to have a unique voice and point of view, popular content is popular for a reason and is a great way to help get more eyes on your site. Pinterest marketing is a gold mine source for getting fast and free traffic to your website or blog. Whereas Facebook used to be a fantastic place to drive website traffic, now that businesses have to pay to play, if your audience is on Pinterest, the sky’s the limit on getting tons of blog traffic through their free platform. Before Pinterest came along, bloggers had to rely mostly on search engines like Google to get their content seen in search results. This process often took a year or more to start seeing a decent amount of website visitors by solely having to rely on search engines. Pinterest is a visual search engine and has quickly become one of the most popular ways to get instant website traffic. We were getting over 46K blog visitors per month within 3 months and over 100K/month in a little over a year! For our second part-time hobby site, we were able to get 100,000+ blog pageviews/month in only 6 months. The second site was 100% from Pinterest since it was too new to start getting search engine traffic! All because of the power of Pinterest! We actually consider ourselves Pinterest bloggers with over 75% of our website traffic coming from Pinterest. For December 2018 (our 15th month of blogging), we earned over $5,000 DIRECTLY due to Pinterest marketing. Round-up posts are a collection of ideas from either your own content or where you’re including links to others high quality content, so that once it’s compiled in one post, it gives the impression of more value to readers and helps to establish more authority about a certain topic. Think about it, if you’re looking for a chicken soup recipe on Pinterest and you scroll through the feed and just aren’t finding one that jumps out at you, UNTIL you see that pin titled “7 Hearty Chicken Soups That’ll Soothe Your Soul” that instantly makes you click. Compiling a list of ideas gives the reader “more bang for their buck” so to speak and instantly gives them more value for their search time. Round-up posts are also a great way to compile quotes and tips from experts in your niche! We all want to learn more from the experts and many people are drawn to these type of posts. ✔️Round-ups sometimes includes lower quality content and causes readers to leave your site early since many are image based and often aren’t as long as other posts. ✔️Premium ad companies don’t want to see very many round-ups on your site or you can get your application rejected. Mediavine in particular is known for this. Not sure if you believe us? We had ONE DAY with over 21,000 blog pageviews because of a seasonal post that went mini viral that week. I can GUARANTEE our site would’ve crashed if it wasn’t for having a high quality web host! You should go write MORE posts related to that topic, since clearly readers WANT to learn more about it! We took our top post in the fall of 2017 and wrote a related post, and that new post not only became our most popular post of 2018, we ended up tripling the traffic on that post compared to the first one that was doing well. Interlinking related content is a great way to not only increase readers clicking around your site and keeping them on there longer, it also improves your SEO (search engine optimization ranking) and increases your ad revenue also. For every post you write, make sure to include at least 3 links to other posts on your website. This can either by naturally interlinking to posts within your paragraphs and/or including a short bulleted list of additional posts your reader will be interested in. Writing numerous related posts around a common theme or issue you’re helping your reader solve, is the best way to not only help them but make them want to join your email list too. Over 75% of our blog traffic comes from Pinterest and our absolute favorite Pinterest marketing tool that literally (and rapidly!) helped us get traffic to a brand new blog through Pinterest is Tailwind Tribes. Tailwind is an automated Pinterest scheduling tool that simplifies uploading pins to your Pinterest boards and group boards, plus it’ll save you tons of time. Who wants to spend all of their blog time just pinning to Pinterest all day? Using Tailwind to drip out pins throughout the day definitely helps increase engagement on Pinterest since being an active user on the platform is critical to getting your content seen in the Pinterest Smart Feed. Tailwind Tribes are a feature of Tailwind that is a separate service from their popular Pinterest scheduler. Tribes can best be described as communities of bloggers that work together on Tailwind to help promote each other’s content on Pinterest. With Tailwind Tribes, you upload your pin or pins to a Tribe, you re-share 1-2 posts of the other Tribe members in return and Tribe members can choose to pin your uploaded pin to one of their Pinterest boards. All Tribes have different rules, some might require that you re-share one post per upload you do, others might require two. It’s very important to follow the rules closely. The main benefit of using Tailwind Tribes is it helps to get your content seen on Pinterest. Tribes can help increase blog traffic, you’re working directly with other bloggers to help each other out and it targets Pinterest in a different way than only relying on Pinterest personal boards and group boards. If you aren’t yet signed up with Tailwind Pinterest scheduling, you can try Tailwind for free for one month with our Tailwind referral link. I’m very passionate about Tribes and am so thankful for the huge traffic boosts the platform helped provide. I truly feel that Tribes are underrated and not talked about enough in how powerful a solid Tailwind Tribes strategy can be. If you HAVE already started using Tailwind Tribes but want help finding finding some amazing Tribes, here’s a link to a PDF download with our 10 most helpful Tribes for mom bloggers! Networking in blogging Facebook groups is another way to get instant website traffic, this can be by either participating in Facebook group share days or by getting your name out there in Facebook groups where your target reader hangs out. If you’re looking for instant website traffic, then you’re wanting to post in blogging Facebook groups on their social share days. Facebook share threads are not only a great way to get traffic to your site, it’s also a way to send potential new readers to your latest freebie or to promote your new product. Make sure NOT to participate in the share all threads you’ll find in some Facebook groups. Especially Pinterest is marking re-shares from these groups as spam and causing some to get their Pinterest account shut down. You’ll want to join groups with other bloggers so you can help support each other’s social media growth, but you’ll also want to participate in groups where your target reader hangs out. 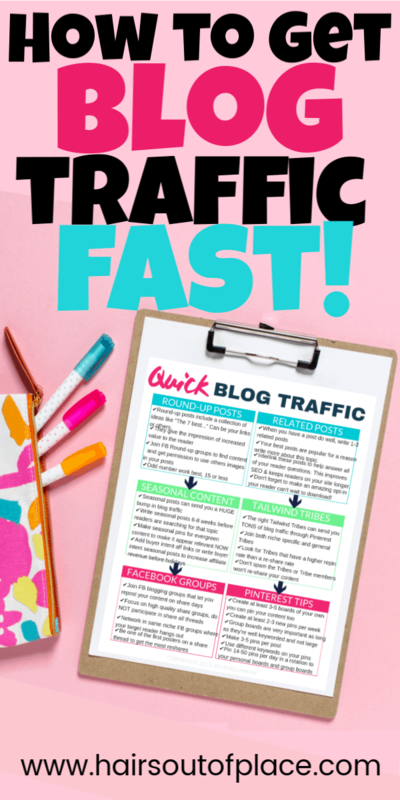 Don’t Forget to Download Our FAST TRAFFIC CHEAT SHEET!! It’s really important to be patient with yourself and to understand 1000 visitors per day won’t magically appear on your site overnight. Something very important is to always make sure you’re moving yourself forward, being consistent, keep improving and tweaking these tips for your audience, and to keep staying positive! I KNOW you can get there and can master getting blog traffic! Our traffic also in part depends on the ups and downs of seasonal and life cycles for people out there on the Internet. If it’s warm, people will be outside having fun and won’t be inside on the internet. If there’s a massive power outage in a big city, people won’t be concerned about DIY party tips on Pinterest. I hope these ideas have inspired you to go get that big traffic boost and to help you skyrocket your blog visitors! Fantastic, comprehensive post. Thanks for the tips!